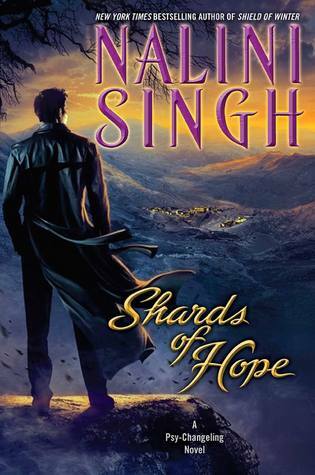 Sigh, she did it again...Another wonderful book from Nalini's Changeling/Psy series! I can always count on her writing to be excellent because it alway grabs me and takes me on an adventure and this title was no different. They are both silent but in imperfect ways and Zaira having been abused as a child was never truly silent...so heartbreaking at times this book because of her inability to see that she is more than a monster as she believes. Yes, she does have possessive tendencies when it comes to Aden but who wouldn't!! My man is just that My man...maybe I wouldn't become muderous but we all have flaws. They end up saving a child and forming a new better Arrow group by learning from the changelings, which creates a newer version of emotional Psy after the fall of silence that is more normal and likely less homicidal. I love the way that Aden loves her despite her flaws and she is willing to do anything for him. Sigh...awe. I love their connection and the way they lead their people away from the darkness that had consumed them for so long. All I can say is more please!! Deffo a EPX or 5 star read...can't wait for more. LOVE LOVE her books every series everyone and for me that is hard to do because a lot of times I love a series and hate another but no with her books every single story is fabulous...not found one yet I don't love!! Way to go!